How is drone technology being used in insurance today? Can you give us an example of when a drone was used to solve a problem for insurers? Sure, here are two examples. Dave Tobias, co-founder, Betterview has grown up in the insurance industry running his family’s commercial inspection business that his father started before he was born. For years his customers kept on asking him if he could provide them better roof data. Dave experimented using different solutions, such as having inspectors tie digital cameras to painters’ poles and having inspectors manually climb up on roofs. Unfortunately, these solutions were either dangerous or ineffective. As drone hardware started to improve, Dave thought drones could solve the roof data problem. Dave ended up connecting with me, a repeat tech start-up founder, as I was also experimenting with drones. We both saw the value of the high resolution imagery drones captured and created a workflow around capturing, organising, and analysing drone imagery. Since then, Betterview has inspected over ten thousand roofs and generated loss-control reports for commercial property underwriting departments of insurance carriers. A more recent example of drones solving a problem would be post hurricane Irma damage assessment. After hurricane Irma hit Florida, many of our customers wanted to get a better idea on the volume of incoming claims, so they may properly allocate resources. Betterview’s customers wanted to know if a policy was a no loss, partial loss or full loss. Normally, our flight plans for claims inspections capture tile-by-tile detail. For hurricane Irma response, we created new flight plans, which captured just enough information to determine if a policy fell into one of these categories. What other areas of insurance can drones be put to use in in the future? In the future, as the costs of drone inspections decreases, insurers will look to leverage drones in personal lines underwriting. We also expect that drones will be used to capture imagery of large areas, very quickly, following large catastrophes like hurricanes, wildfires, mudslides, tornadoes, and floods. Drones are mainly being used for localised property inspections. Advances in technology and Federal Aviation Administration (FAA) regulation will enable drones to be used for larger areas. What is stopping insurance companies from deploying this technology already? ROI has to be significantly meaningful, not just moderately positive, for an insurance company to adopt new technology. The need for massive ROI is driven by a combination of the scale of how much business is flowing through insurance companies, the fact that they operate in a regulated industry, and the number of people impacted by any change to a well established process. Over the past four years, decreasing costs has improved ROI calculations and has led to more drone use. However, adoption has been relatively slow because insurance companies are limiting use of drones to extremely high ROI use cases. For instance, when the alternative is to hire a cherry picker to get up close to a church steeple or you are not able to get information on the condition of a $1million+ roof that is in a highly active hail zone, the ROI on a drone inspection is easily double digit. In order to address the ROI challenge, we have developed a solution for determining when an insurance company should and should not order a drone inspection. We will have more to announce, soon. How long do you think it will take for drones to lose their novelty status and enter the mainstream? From our experience, at least 100 insurance companies have tested drones in their business. The novelty might have started their exploration into drones, but real results are keeping insurance companies interested. Given the challenges around significant ROI, drone-based inspections of properties have not become mainstream. However, demand grows every month as cost and capabilities improve. 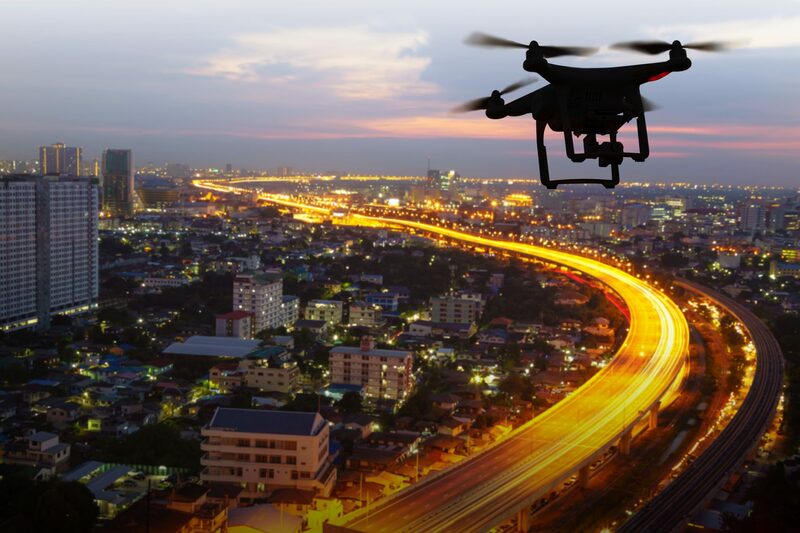 As insurance companies are able to reduce the cost and complexity of adoption, and as we provide them the tools to better select which properties to inspect with a drone, drone usage will soar. Catch up on the latest developments in InsurTech technology, join InsurTech Rising Europe in London this September. Following testing by Russia’s largest bank, Sberbank, to deliver cash to clients using a custom-made drone, the arrival of more frequent cash deliveries by drones look to be just around the corner, with reports suggesting as early as the end of 2017. Nationwide in the US. Not the UK one. The Series C round takes the company's total funding to $57.5 million. Dutch company now has total capital of more than $1.4 million. Issues call for proposals and offers €15,000 grant to deal with issue. Looking for digital firms in insurance and asset management space.